Weird…At the library, at least 3 people also got pizza today. It’s almost a growing trend. Also I’m saving some bucks; payday is Friday. I bought a plain slice (No mushrooms? Denied!) 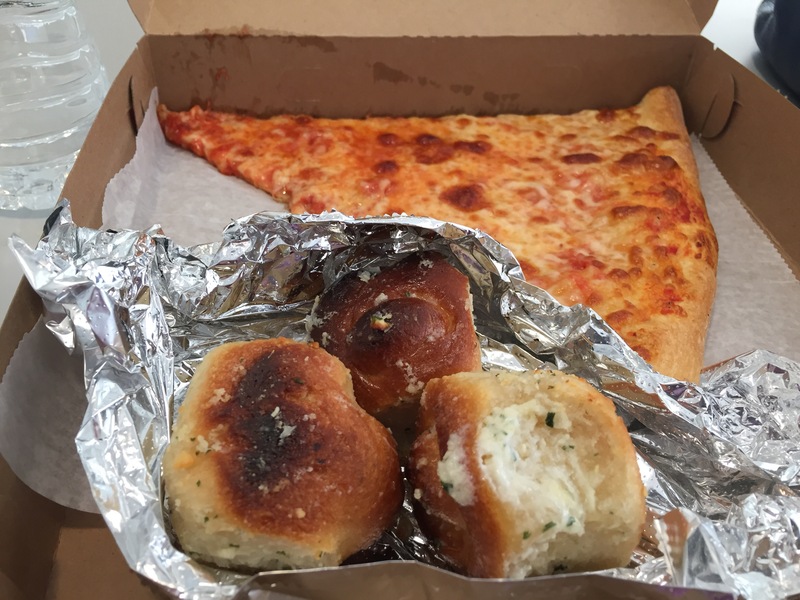 and 3 garlic knots for $1.50. Total price w/ drink: $5.25. Not bad. The garlic knots are SUPER garlicky. Was it enough garlic for you? Perhaps, but it will mesh well with the homemade stuffing I’m making later. Anyway, I wish everyone a delicious and happy Thanksgiving Day. No matter what the food will be, and how it turns out, I hope everyone is with someone(s) that they care about tomorrow.